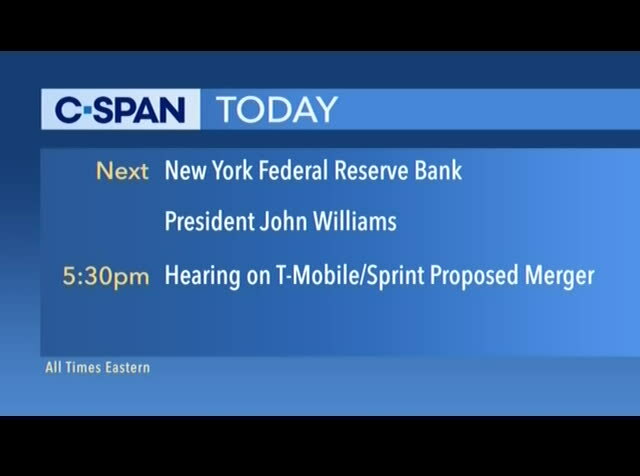 c-span, we believe your from the president and ceo of the federal reserve bank of new york. he addressed the economic club of new york earlier this month. from capitol hill, top executives of t-mobile and sprint discussed the impact of the proposed merger. first, let's check in on the road to the white house. earlier today, democratic presidential hopeful beto o'ro urke announced his campaign raised $6.1 million in the first 24 hours of the campaign. it sets a record for the cycle, "topping the $5.9 million one day total senator bernie sanders announced after he announced his campaign." 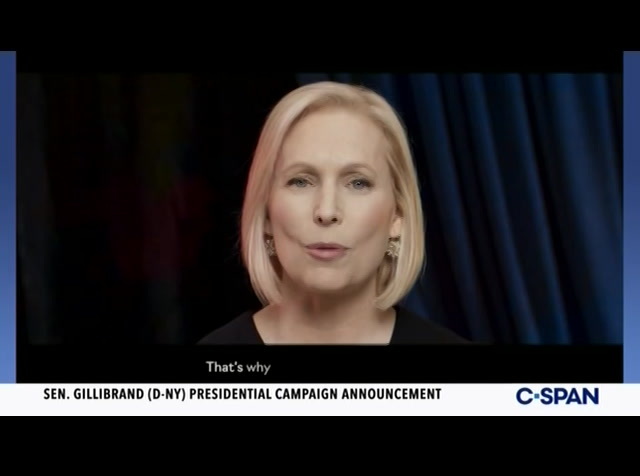 over the weekend, kirsten gillibrand also entered the 2020 race. here is a look at the video her campaign released online. i often callnd: america the home of the brave, but we don't realize the lyrics first pose it as a question. oh, say does that star-spangled banner yet wave over the home of the brave? it askes will brave win? it has not always and it is not right now. brave does not pick people against each other. brave does not put money over lives. brave does not spread hate. cloud truth. build a wall. that is what fear does. we need to remember what it feels like to be brave. we launched ourselves into space and landed on the moon. if we can do that, we can definitely achieve universal health care. we can provide paid family leave for all. end gun violence. pass a green new deal. 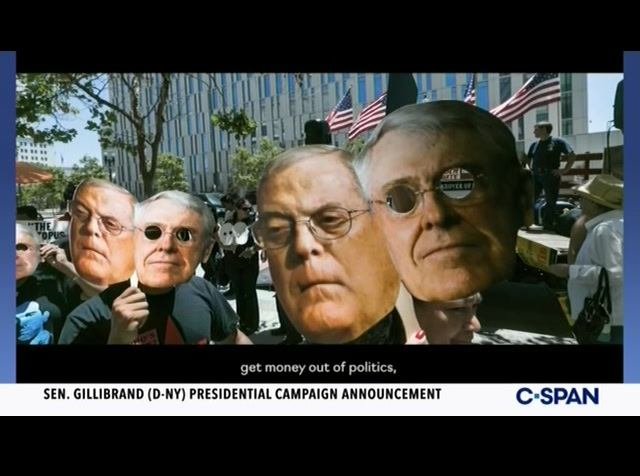 get money out of politics. and take back our democracy. none of this is impossible. americans are brave every day. a father risking his job to fight for his family. the mom taking on 6:00 a.m. ships and 6:00 p.m. clases. the formerly well behaved women speaking up. the neighbors linking arms. they are making a choice and it is these brave choices that inspire me to take on the fight others want. we i voted against the wall street bailout. when i took on the pentagon to end sexual assault in the military. when i turned a red district blue against all odd. public sond taxes people can see i was working for them. i took your lead. i chose brave too. we need a leader who makes big, brave choices. 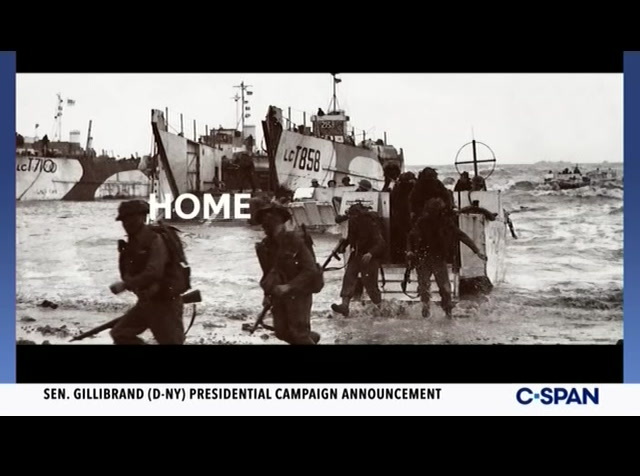 Senator Kirsten Gillibrand (D-NY) officially launched her campaign for President of the United States with a video called "Brave Wins." Her first major speech will be in front of Trump International Hotel in New York City on March 24th.